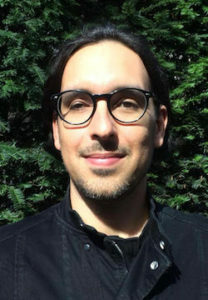 Andrés Alegría’s role as Graphics Officer is to assist authors in the design and preparation of graphics for the products of the IPCC Working Group II (WGII), and ultimately to enhance understanding and impact of these products in terms of a visual communication and information design perspective. Andrés is a skilled graphic designer with an academic background, holding a M.Sc. on International Studies in Aquatic Tropical Ecology from the University of Bremen. Before joining the IPCC WGII, Andrés worked in the context of artisanal fisheries throughout the Mesoamerican Reef. Here he focused on the development of highly participatory management tools and corresponding communication campaigns targeting a wide array of stakeholders demanding diverse media outputs.